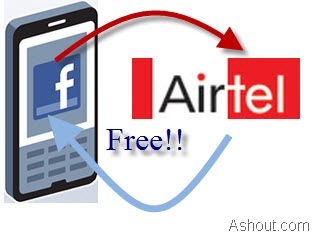 After sending the above format sms in Airtel sim, you can access free facebook on your mobile for 2 months. You need to send the above sms only if you’re not yet used your Airtel Sim to connect Internet. If you used your Airtel sim for any internet activity before, then you are not required to send the above sms. You can directly start browsing the facbook website in your Airtel sim for free. 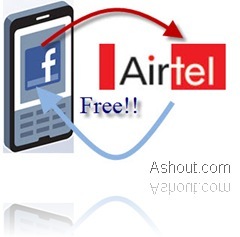 The facebook free gprs is available in Airtel only for 2 months, that is from July 5, 2010 to August 31st, 2010. After the August 31st you will be charged normal browsing rate. I just tried in my Airtel sim to access facebook for free and it works, you will see 2 lines saying you are using free facebook at the login page of facebook. You can start using free facebook on mobile by just visiting www.m.facebook.com from your Airtel sim. Oh! Yes! Read this news on telecom talk first…. but why only available for 2 months??? after that? Really a good news :)bad that its free only for 2 months. hey when I use it with opera browser in my nokia n79 with airtel , its getting charged.